If you love to travel like I do, you will want to include your baby in your trips. Travel gets a bit more complicated with a baby. However, you can have an amazing time with a little planning and preparation. Follow a few easy tips for smooth sailing. It’s amazing how much is needed to take one little baby on a trip. Unless you will have access to a washing machine, bring more outfits than you need. 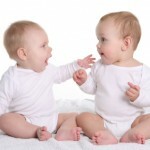 Babies tend to get messy and wear more than one outfit each day. Pack clothing that is appropriate for the weather. If it is summer, bring along a jacket in case the nights get chilly. Include pajamas for night time. Don’t forget smaller items, such as socks, bibs and hats. There are some things you may not need to pack. You can either pack diapers and wipes for the entire trip, or just pack a few in the carry on and purchase a bag when you reach your destination. The same is true for baby foods and snacks. Unless you are traveling to an exotic or out of the way destination, you will be able to get these things at the local grocery store. Doing this will give you more space for packing clothes. You will need a car seat for the baby. You can bring your own seat on the plane. If your baby will not have a seat on the plane, you may have to check the car seat and claim it with your baggage at your destination. If you are renting a car, you can often rent a car seat at the same time. This is a good option if you don’t want to carry the seat on and off the plane. If you are traveling by plane, pack a carry on with the necessities. Be sure to include diapers, wipes, snacks, a sippy cup with water and an extra change of clothes or two. For older babies, you may want to bring a few toys and books to keep the baby happy during the flight. If you are delayed, you will have everything you need for your baby. You will need to decide where the baby will sit during the flight. Babies don’t need their own seats, as long as their parents will be holding them for the entire flight. If you want extra room, you can purchase your baby a seat. You can bring the car seat onto the plane to use during the flight. Airline seats are notoriously cramped, so you may want a bit more space. 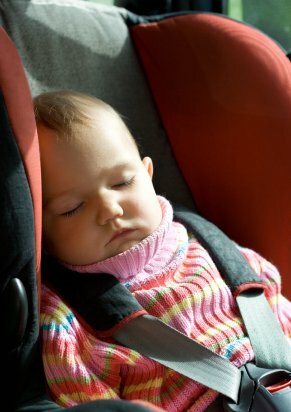 As with a car, the safest place for your baby to sit is in the car seat. Check with your airline about security rules. There were a few highly publicized cases of women having to drink their own breast milk or dump the bottles before boarding the plane. The current guidelines do allow a bottle of breast milk, formula or juice in the carry on bag of a woman traveling with a baby. You shouldn’t run into a problem when you are boarding the plane with a baby, but you may want to ask to be sure. Allow plenty of time for stops, if you are traveling by car. You will need to stop for feedings and diaper changes, as well as to let baby stretch and take a break from the car seat. It may take longer to reach your destination, but the trip will be more enjoyable if you take your time. The baby should be buckled into the car seat at all times for safety. Bring along toys and music CDs to keep baby entertained on the road. Whether you are staying at a hotel or with family, spend some time making a place for baby to feel at home. Bring out some of your baby’s familiar objects, like toys or a favorite lovey. When your baby sees her things, it will help her feel more comfortable. 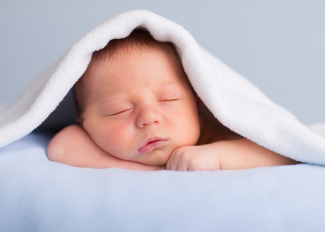 Try to keep baby’s sleep habits as close to normal as possible. 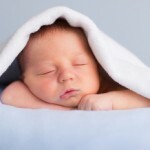 Schedule activities and sightseeing around baby’s nap schedule and everyone will have a better time.